The first thought which comes to our mind when we think about driving is that it is simple but when we actually try to drive a vehicle we realize that there is lot of difference in what we say and what exactly it is. While driving a vehicle we need to take care of lots of points and you can call it as multitasking. Hence in case if you are planning to learn driving or any specialized from of driving such as LGV/HGV or PCV then the best place to go is Dhoot Driving School in Kilburn, London. Apart from the modules that are mentioned you can also opt for refresher training courses from them. Look for the best option that suits your need. â€¢	The LGV/HGV Training: Such type of training is ideal for a person who wants to learn vehicles that carry large and heavy goods. Such vehicles are mainly used by courier agencies and industrial companies for transportation of material from one place to another. â€¢	The PCV Training: With the help of PCV training you can get yourself trained on passenger vehicles. This training module is designed in such a way that you can learn about different categories and types of passenger vehicle. One more point that you need to keep in mind while undergoing such training is that it is meant only for articulated vehicles and vehicles that are manually operated. Different categories that are available under PCV training are D automatic bus and D1- Minibus, D, D1, D+E and D1+E minibus & trailer. â€¢	The Driver CPC Training: This training is an essential part of the entire training module and is called as certification of professional competence. In order to complete this training, you need to undertake a training period of 35+ Hrs in 5 years time. â€¢	The B+E car and trailer training: If you want training on towing vehicles then this is the best option for you. There are two types of licenses available under this module that depends on the MAM also called as maximum authorized mass. If your automobile is within the limits of MAM, you need to get a B license and if itâ€™s more, then you need have to apply for a B+E license. 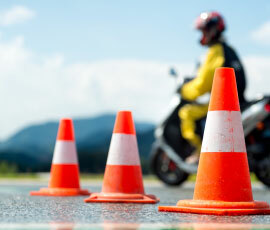 All these courses can be successfully pursued from the Dhoot Driving School institute in Kilburn, London. However, if you feel that you are an expert driver and just want to test you skills or want to analyze your performance you can opt for various refresher training courses. The training programs will enhance your knowledge and thus give a boost to your confidence. How Dhoot Driving School is different from others? â€¢	At Dhoot Driving School we always try to deliver best to our clients as all of our trainers are well trained and are highly professional towards their job. All of them are registered with DSA also called as driving standards agency. â€¢	Another best part about us is that the training material and training instructions can be availed in different languages and in fact all of our trainers are multilingual. Hence if you are not comfortable with English language you can undergo the training in your preferred language. â€¢	Apart from practical approach we also lay special focus on theoretical concept as well because in order to be a professional driver you need to learn practical as well as theoretical concepts of driving. â€¢	When you start training with us you will be surprised to know that our training programs are extremely fun, enjoyable and stress free. 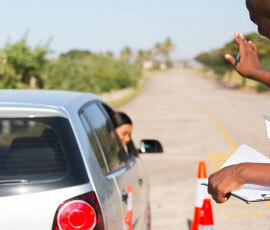 â€¢	Apart from training you can also take help regarding the filing up of the driving license form and the medical form. â€¢	We also provide absolute assistance, if you need to fill up of relevant forms and documents and also send them over to the appropriate authority of DVLA. Our main aim is to make sure that you concentrate on your training in a better manner. There is one more important point that is worth mention and that is about the safety of our vehicles. All of the vehicles that we provide during the training are completely safe and secure and are fitted with all the necessary safety equipment. You can also expect these vehicles to have dual access control feature with them so that you donâ€™t feel alone while you are doing your training with these vehicles. The vehicles are specially designed for training purpose and they are equipped with high safety equipments. Now after reading all these important and useful points if you want to enroll for professional driving courses in Kilburn, London then just give Dhoot Driving School a call and we will be more than happy to help you and will try out level best to fulfill your expectations.